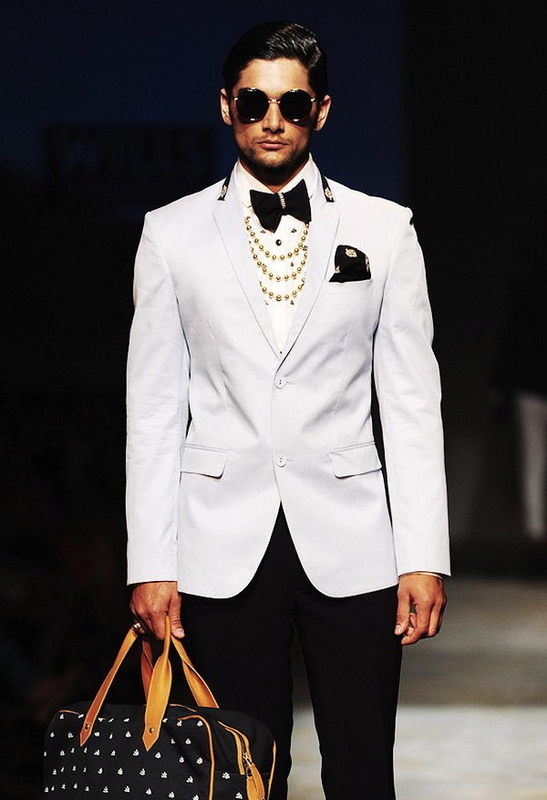 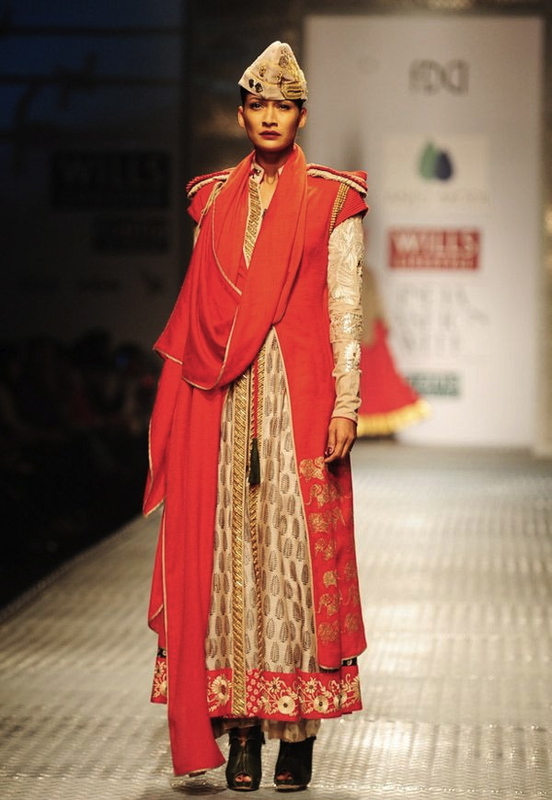 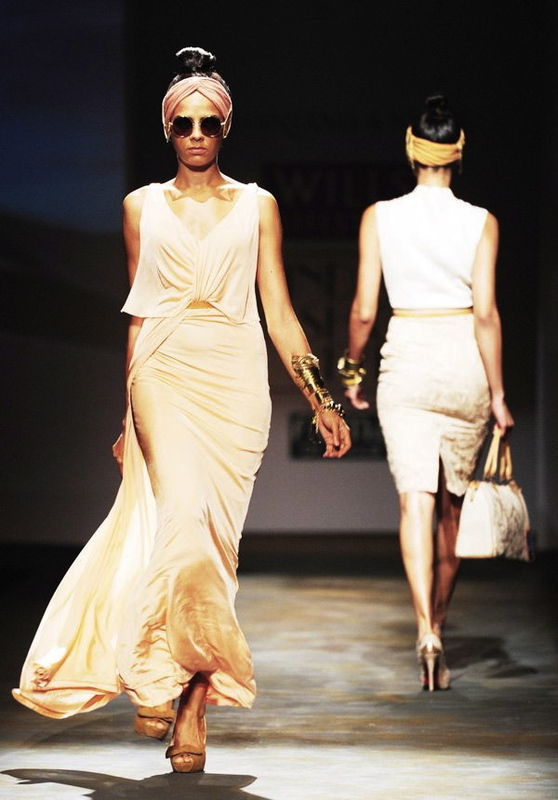 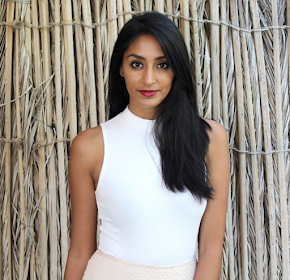 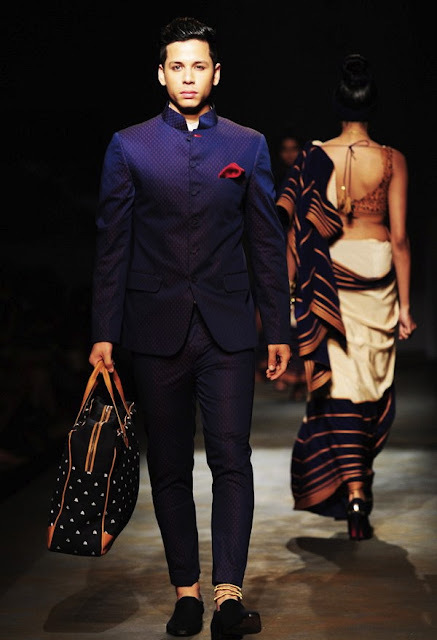 Day 2 of Wills India Fashion Week was nothing less than amazing. 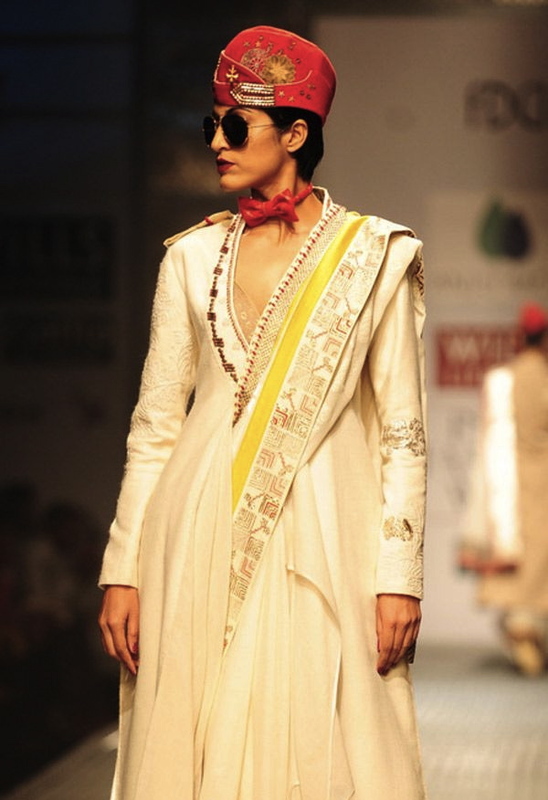 Below are a few of my favourites from this day. 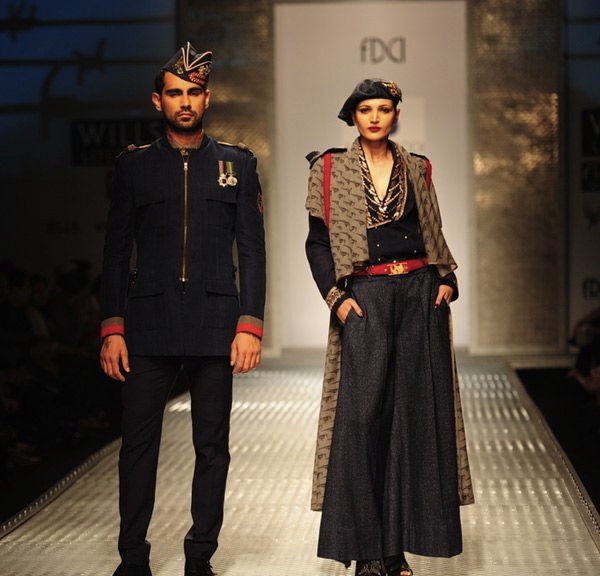 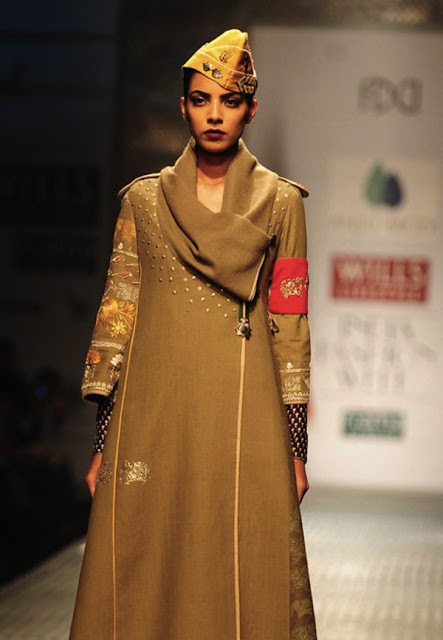 Anju Modi - With a strong military inspiration, these designs are more on the androgynous side with strong shoulders and straight lines. 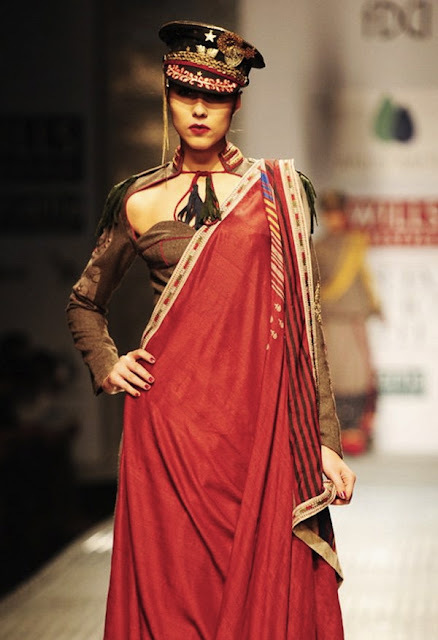 These items are simple and showcase a strong woman. 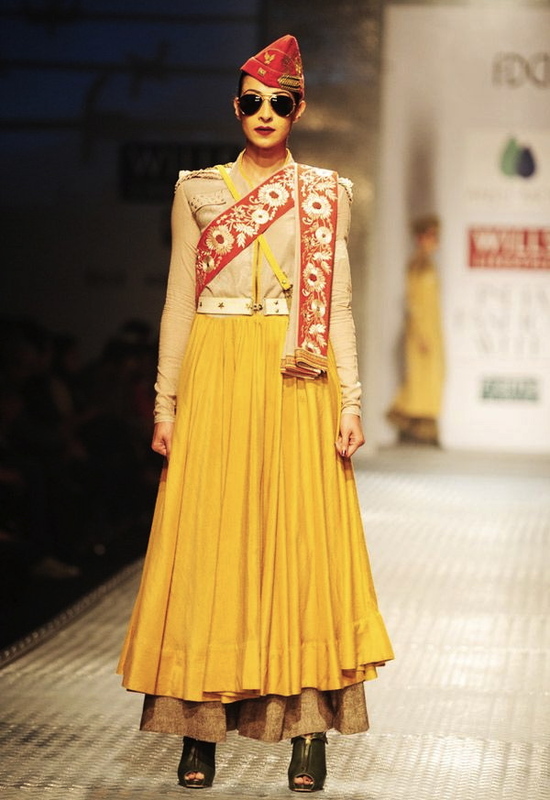 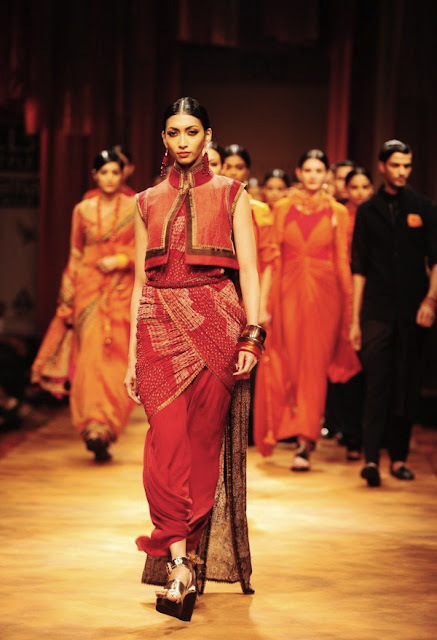 The fabrics and simplicity in the designs and lines remind me of 1920s India. 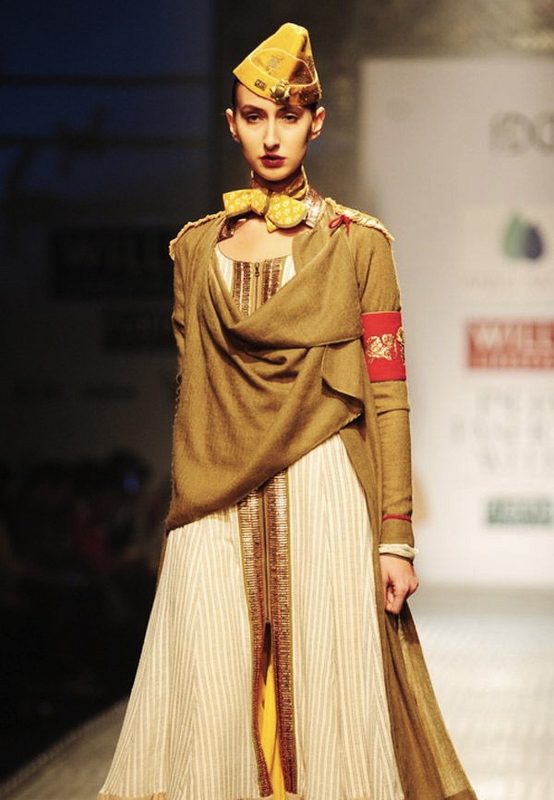 Shantanu & Nikhil - The Indian clothing in this collection is very nice, the western clothing is average. 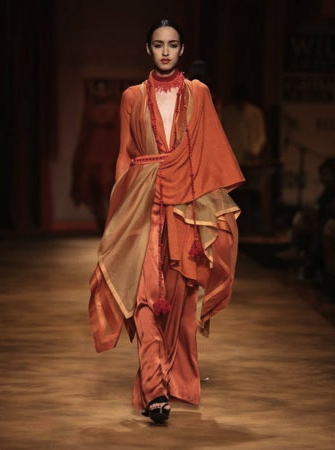 The silhouettes are figure flattering and we're continuing to see more subdued colours. 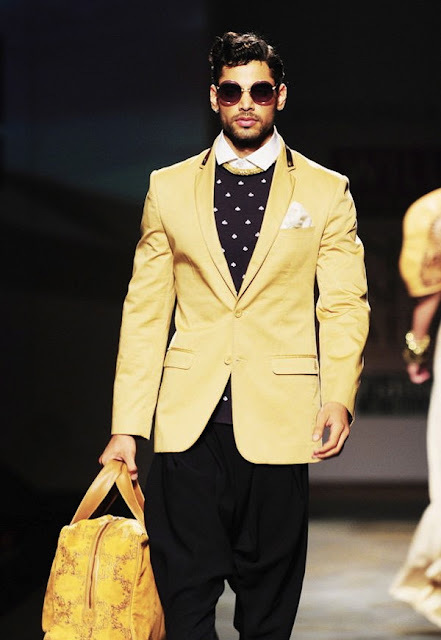 I especially love the styling of the men's clothing in this collection. 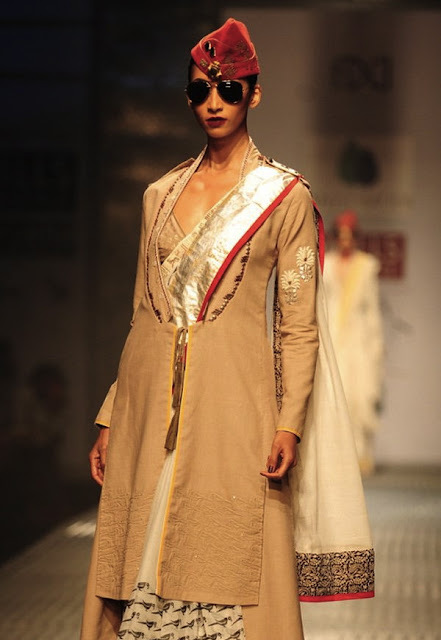 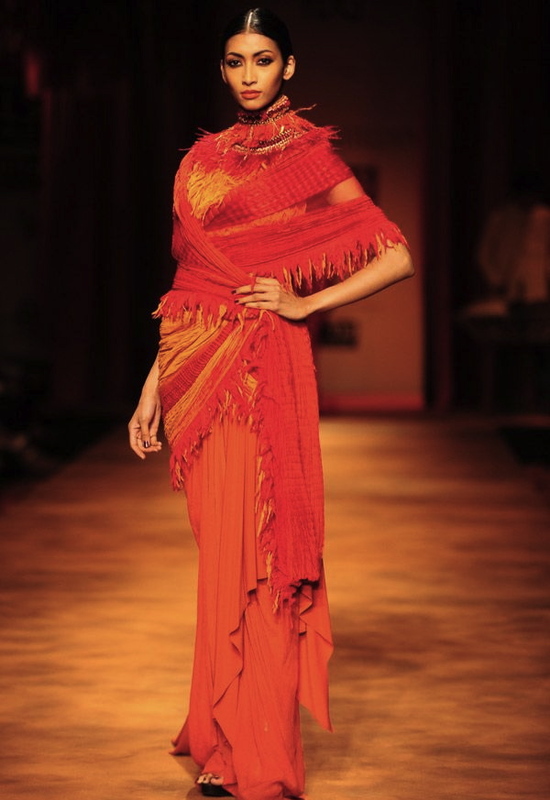 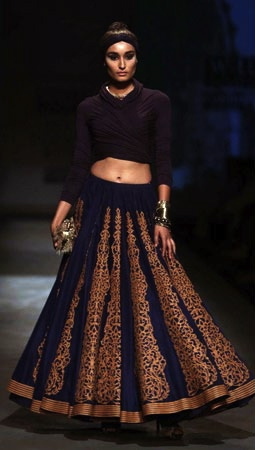 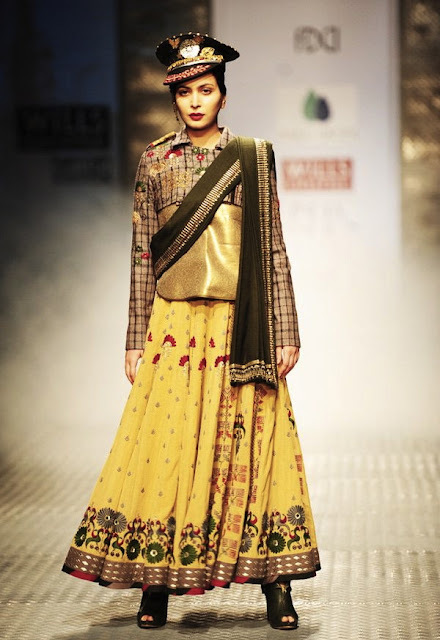 Tarun Tahiliani - A master mind of design, Tarun Tahiliani continues to amaze. 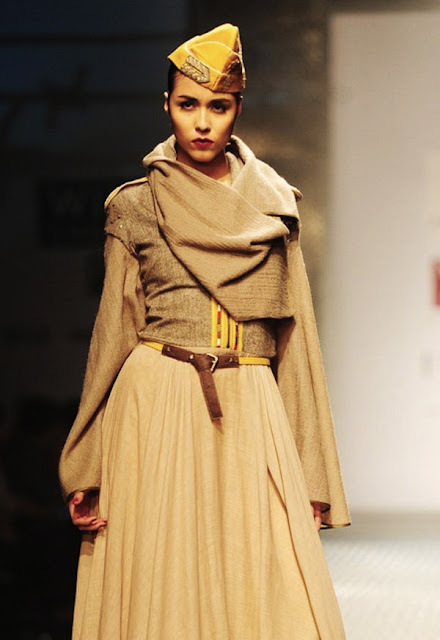 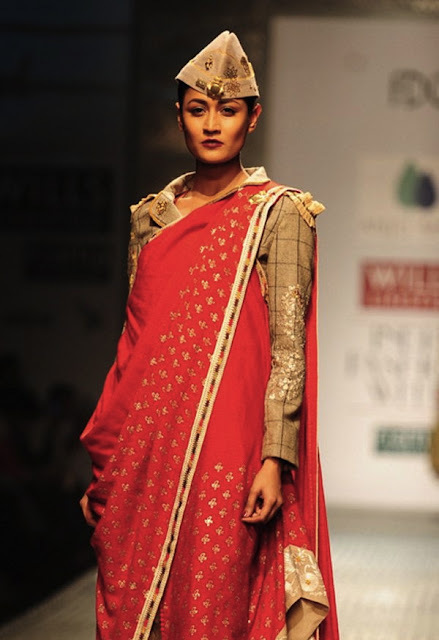 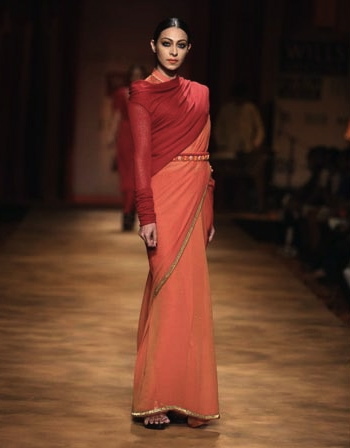 His saris take on more of a traditional inspiration while using layering and lots of wrapping with the styling. 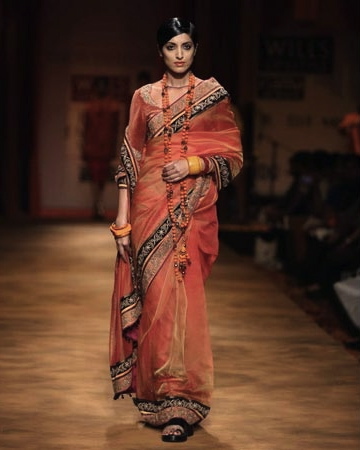 I sense old India fused with modern India in this collection.